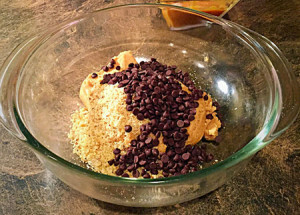 In a large bowl, combine the cookie dough and chai tea mix. You may need to get in there with your hands! 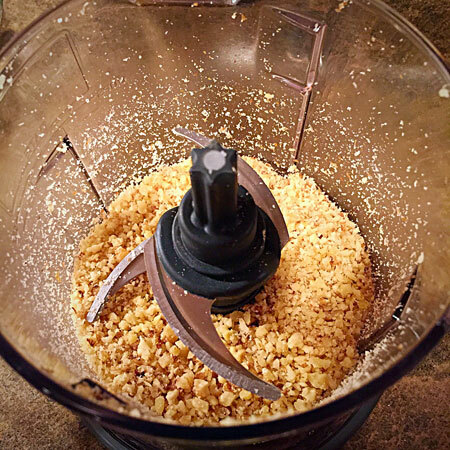 Reserve ¼ of the dough. 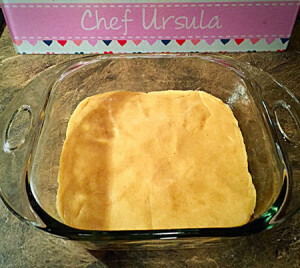 Take remaining dough and press evenly into the bottom of an 8×8 baking dish. 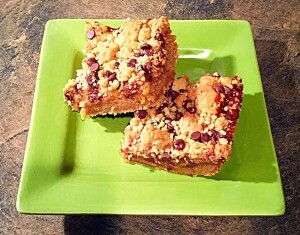 Bake for @ 12 minutes, or until just set. 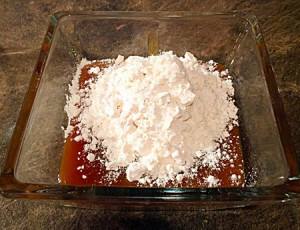 While dough is baking, mix caramel and flour together in a small bowl. Set aside. 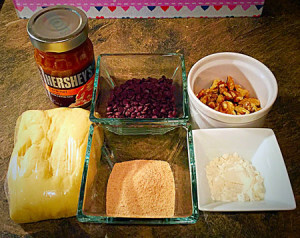 In a medium sized bowl, mix the remaining dough, walnuts, and chocolate chips. Set aside. 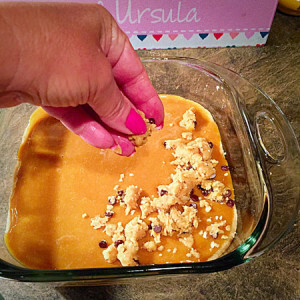 When the dough is finished, drizzle the caramel mixture all over the top. 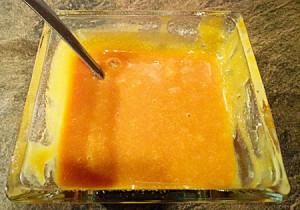 Sprinkle the remaining dough mixture over the caramel, covering as much as you can. 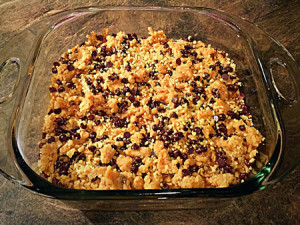 Bake for 22-25 minutes, until brown on the edges. 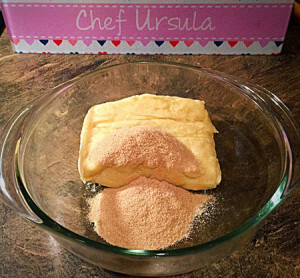 Reserve ¼ of the dough. 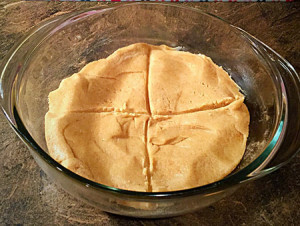 Take remaining dough and press evenly into the bottom of an 8x8 baking dish. Bake for @ 12 minutes, or until just set. 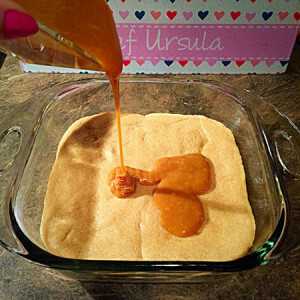 When the dough is finished, drizzle the caramel mixture all over the top. 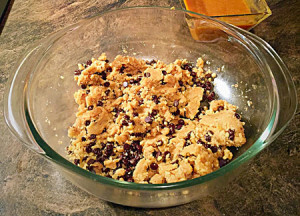 Sprinkle the remaining dough mixture over the caramel, covering as much as you can. Cool for at LEAST an hour before cutting. Enjoy!